I had recently purchased some new white embossing powder so I used this for my emboss resist technique. 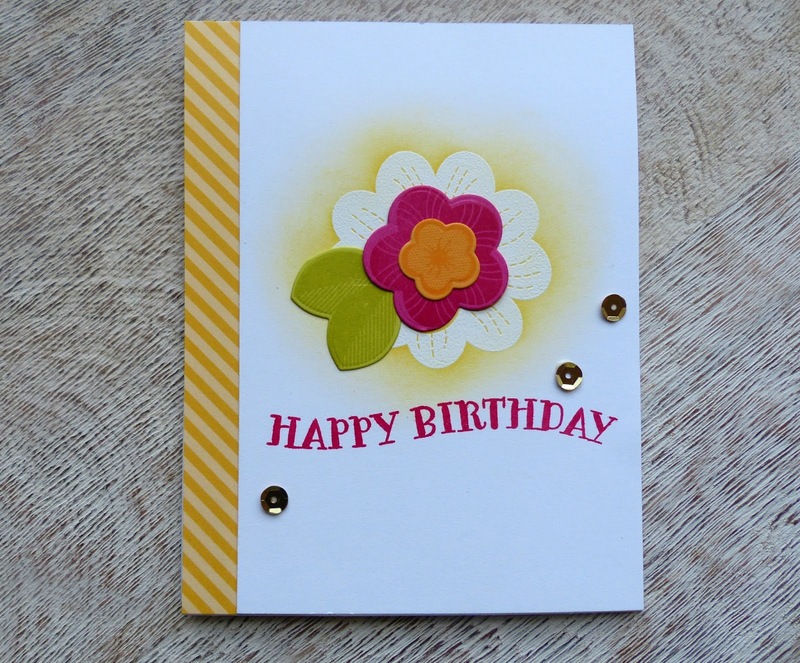 I sponged some yellow ink over the embossed flower and use both my PTI Ruby Rose and Sentiment Splits stamps. I added a yellow strip of patterned paper as my border and some gold sequins as my "touch of gold". I hope you have enjoyed this year's anniversary challenges as much as I have! Very nice Card, you did a wonderful job with the emboss-resist technique! Such bright and cheerful colors! This is so pretty!! I love the colors and you rocked the emboss-resist technique!! Love it!! This is lovely and I really like that sentiment! This is so pretty, Megan! Fabulous job with the emboss resist and the challenge!